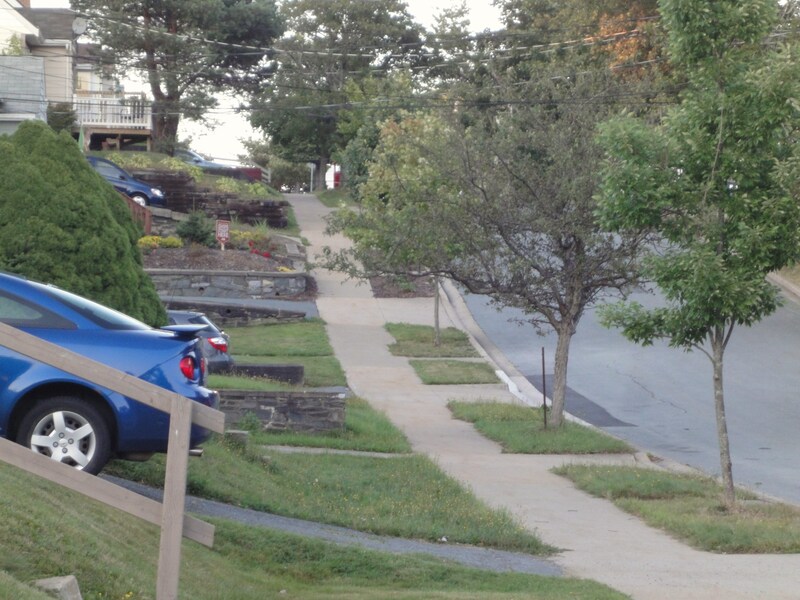 You may not be able to tell, but this is a very, very steep hill. Back in my salad days, I used to be quite the runner. I have talked at great length about my lack of athletic ability. Baseball, tennis, volleyball – any sport that involves hitting things with things – were moments of extreme mortification. The only sport I ever played was soccer. Soccer was easy, especially since I only ever played midfield. All I had to do was run. For some bizarre reason unknown to me now, I loved to run back then. I even loved my school’s annual cross-country meets. I loved it so much I would get up obscenely early in the morning to train. The year I made regionals was one of the happiest moments of my youth. That year I got to run on real cross-country trails. A disgusting amount of years later… I do not love to run. Not even remotely. But some part of me really wishes I could recapture the joy I had for it when I was younger. When the first K9 Kamp Challenge was posted last week I saw it as an opportunity to give it a try. Maybe I should have started smaller. Shiva and I had fun – okay, Shiva had fun and I sucked it up – completing our first challenge over the weekend. Since we already walk close to 120 minutes per day, I figured it wouldn’t be much of a challenge if we just did that and called it good. I figured we’d just run up some hills instead. Since my city was basically built on one giant hill there are an abundance of them in our neighbourhood. It still sounded weak, but I thought it would suffice. Turns out, it was the hardest 60 minutes of my life! I knew I was out of shape, but jeepers! Clearly I need to get back into the habit of running more often. Especially if I am to have any hope of keeping up with Shiva on the agility course. Five points for Shiva, negative ten points for me. She even managed to scarf some garbage while running. And when running uphill wasn’t hard enough, she decided to add in some jumps, just for kicks. Is it the chupacabra? No, it's just Shiva jumping. While running. She is such a show off. While I was sweating within milliseconds, she was looking at me like she was about to fall asleep. Another break?? Are you kidding me?? Pathetic. I was tempted to cheat and walk the rest of the way but I couldn’t trust my dog not to tell on me. She is the canine version of Richard Simmons. Besides, I could sense the hills taunting me and I couldn’t let them win. Did all this re-instill my love for cross-country running? Not in the slightest. But it did make it very obvious how much my fitness levels have fallen in the last few years. It also showed me what a great jogging partner Shiva is, even when she is silently judging me. Perhaps if I turn some of our daily walks into walks/jogs I will gradually learn to enjoy it. It’s worth thinking about anyway. After I have another cookie. Check out how all of the other K9 Kampers did here! If you are participating along with us make sure to check in with Kolchak and Kelly tomorrow for the next challenge! I knew Shiva would be a great coach! She didn’t make you jump up and down while running, did she? Of course hills are tough. And hard on the knees. I have a love/hate relationship with running myself. I hated it in college, I’ve loved it recently, but I only like it when it’s lonely and quiet. And, unfortunately, all my lonely and quiet time is spent blogging. Maybe I need to start blogging on the run. I’m sure Honey would love to accompany me. Oh, and since I’m standing on the sidelines, here’s my cheer: “Shiva, Shiva, She’s Our Gal. She’s a Furry Fitness Pal!” Sorry I’m not standing on the hill cheering you two on. BTW, if you want to fall in love with running, I’d suggest this book: http://www.amazon.com/Born-Run-Hidden-Superathletes-Greatest/dp/0307266303. If your library has it, get it. I think you’d enjoy it. Seriously Kristine I almost spit my breakfast out when you said Shiva snarfed some garbage. It sounds like she and Delilah are the same dog. LOL Great job and good for you for completing the challenge. We completed it as well and I will write about it for tomorrow’s blog. You have a kind and understanding and non-judgmental personal trainer. That is worth a lot. I always hated running… got into it during the spring to do a 5K, which was good motivation. However, then it got hot… and I slacked off. Am hoping to get back into it now that fall is almost here – I do envy those who just have a love of running. I used to like running when I was younger, and that went away as I got older as well (go figure). I’ve begun to run again, a little bit, when I think nobody can see me. 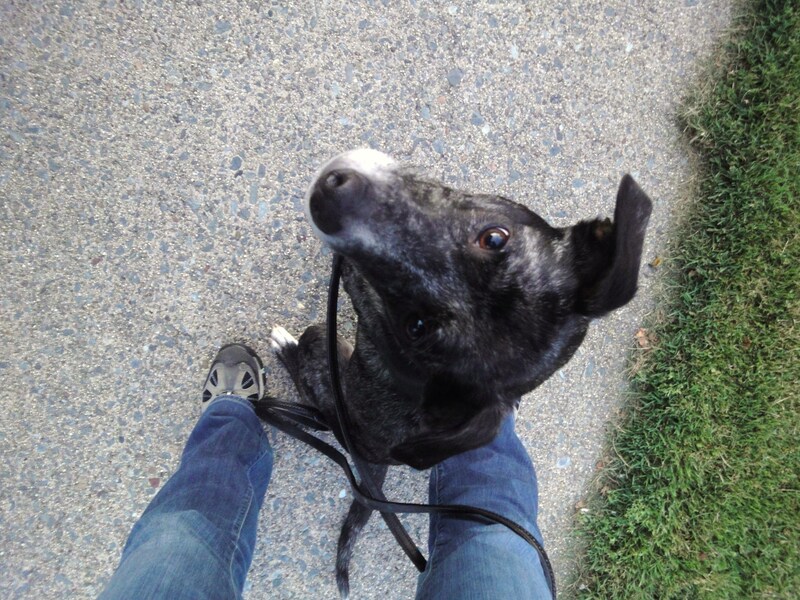 While out with Elka, of course, who sometimes runs placidly up ahead of me (well, jogs. Lopes.) and sometimes turns around and runs at me! We’ve since made a game of that situation, which is quite fun. I used to love running, and getting that runner’s high. Unfortunately, the more often you run, the further you have to go to get that high, and then my body started killing me. So, I stopped all together! Now, when I run agility, I start wheezing. I keep telling myself that is adult onset asthma. Love your new blog desig! Running hills does NOT sound fun to me! I give you major props for doing so. Shiva is a great fitness partner, if you like to sweat! Hope she gives you a break today! We are participating in the challenge but not running – well, I am walking fast and the dogs are jogging. I remember, though, back in the day, we had a Chihuahua looking mutt who, when she walked, did not want to stop for anything. 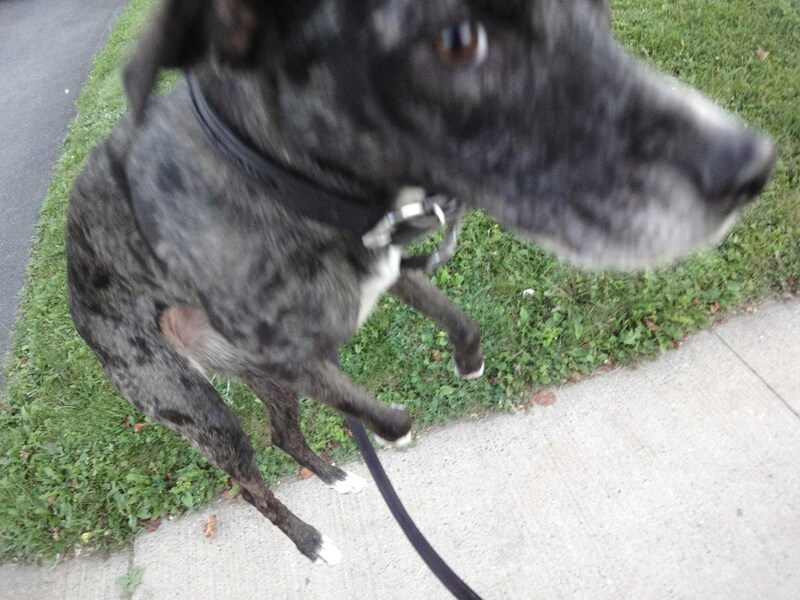 As she motored along the sidewalks, she would lift a leg to pee as she continued her walk run. Love the challenge – just find it hard to list myself as I do’t tweet; we are doing it anyway. Amazing how dogs (like Shiva and her athleticism) keep us humble! I played soccer too! From age 6 all the way through high school. 🙂 But I still hated the running, no matter what position I played. I’d be terrible trying to do hills now. I basically gave up trying to run Dante a long time ago, because no matter how fast I go, he still looks like he’s trotting (the whole greyhound thing really works against me in this instance)! But I’m sure he’ll make a great partner whenever I do finally work up to jogging/running, regardless of how ridiculous we’ll look together. Once I get into the rhythm of running, I can enjoy it quite a lot…but those first few runs are excruciating! The pooches give me a built-in excuse to rest often, as they can’t pass up sniffing every blade of grass along the way. Geesh! So Shiva’s the kid at camp that makes the rest of us kampers look like slackers! Just kidding! That is great that Shiva is so motivated and full of energy! So happy to be working with you in the 31DBBB group! I love when people can show the humor in their relationship with their pets, and the title and your writing do just that. Bravo! Ha ha ha ha ha! I swear, I’m not laughing at you, I’m laughing with you, er, well, with Shiva anyway! When I was young I used to run like a gazelle, just for fun, not because I participated in sports of any kind. Later I discovered shin splints. So, not really a fan of running here, either! Give me a fifteen mile hike through the woods, up and down hills and valleys, and I’m good to go, but don’t ask me to run.